The latest novella from British author, Daniel Pembrey, is a thriller set in modern day Amsterdam. The Harbour Master escorts readers into the seedier parts of the Dutch capital in this fast-paced tale of prostitution, murder, human trafficking and police corruption. Amsterdam police detective, Henk van der Pol, is on the downhill run towards his retirement. During an early morning patrol, he discovers a woman’s body floating in the Amsterdam harbour. Henk becomes overtly suspicious of the police investigation into the case, and is soon denied all access to information about the dead woman and the cause of her demise by his superiors. Fortunately, Henk is able to identify the tattoo on the corpse’s ankle before he is barred from the investigation. The tattoo directs him to Amsterdam’s underbelly, the red light district, where he uncovers an unhealthy relationship between the pimps, prostitutes, police and politicians. This discovery places Henk and his family in peril, and entails Henk fighting for their safety without the support of the local constabulary. 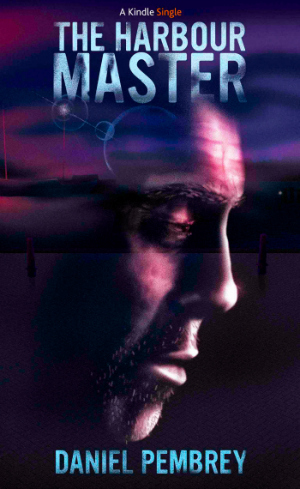 The Harbour Master is a fast, tight and suspenseful read. The economical format of the novella demands the removal of all excess fodder from the narrative. The characters are swiftly introduced, developed and connected to the plot. Henks’ colleagues, both old and new, are smoothly incorporated, with dialogue and action congruous to the specific character and situation. The relationships linking Henk, his wife, and their daughter are flawlessly executed. A good example is the description of Henk’s daughter, Nadia, receiving a surprise visit from her father at the café¸ she works in. Her discomfort, apparent in what she says and how her movements are described, makes the reader feel like an eye witness. Pembrey shows great skill as a crime fiction writer. His understanding and portrayal of people, places and situations is remarkable. The Harbour Master is a highly recommended addition to this popular literary genre.